The Division of Aquatic Resources (DAR) has been working to identify management actions that can be taken following the bleaching event to promote recovery and resiliency in Hawaii’s coral reefs. 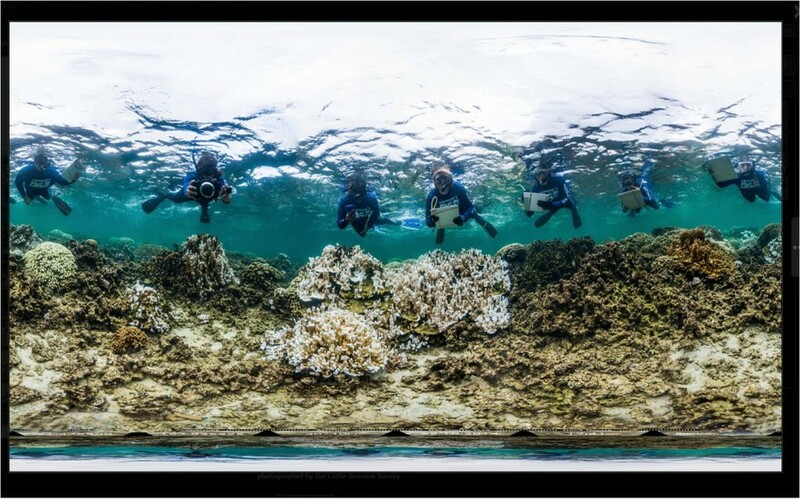 This work began by gathering information including a global survey to collect opinions from over 80 coral bleaching scientists and a review of all existing scientific literature – a synthesis of over 200 articles. Most recently, a workshop was convened on August 11, 2016 with a total of 44 Hawaii-based scientists and managers to apply a Hawaii lens to the information previously gathered as well as identify management recommendations in four priority locations: West Hawaii, West Maui, Kaneohe Bay, and North Kauai. These areas were chosen because they were exposed to the most severe thermal stress over the 2014/2015 coral bleaching event. Click here for a summary handout. 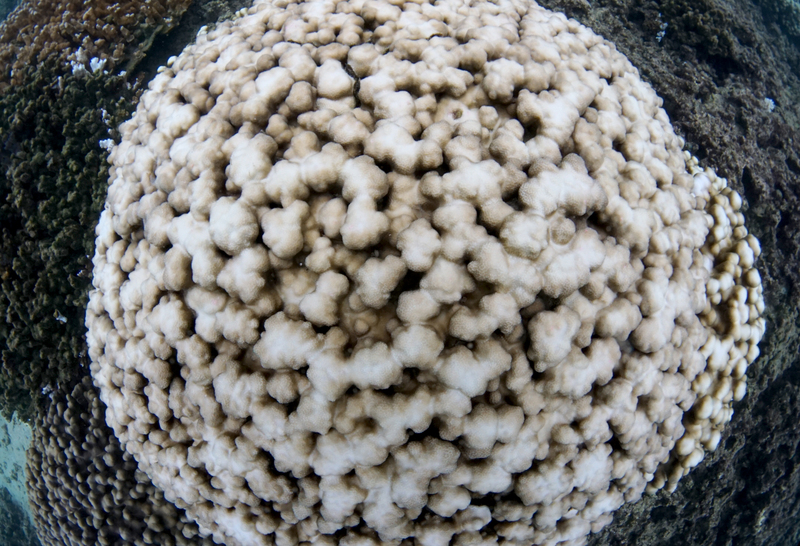 2015 Coral Bleaching Surveys: South Kohala, North Kona – Click here for a summary handout on key findings. Coral ‘bleaching’ is a coral stress response, in this case likely due to high ocean temperatures associated with the El Nino event and global climate change. Coral bleaching is caused by the loss of algae from inside coral tissue, which makes the coral appear white. Corals can recover from bleaching, but if temperatures remain high, they will eventually die. It can take from weeks to years for a coral reef to fully recover from a bleaching event. The National Oceanic and Atmospheric Administration (NOAA) Coral Reef Watch program are currently predicting high coral bleaching alert levels for waters around Hawaii during the 2015 bleaching season (August – October). These warnings indicate high ocean temperatures, and thus there is a high likelihood for bleaching. It can take from weeks to years for a coral reef to fully recover from a bleaching event. What should I do if I see the coral bleaching? 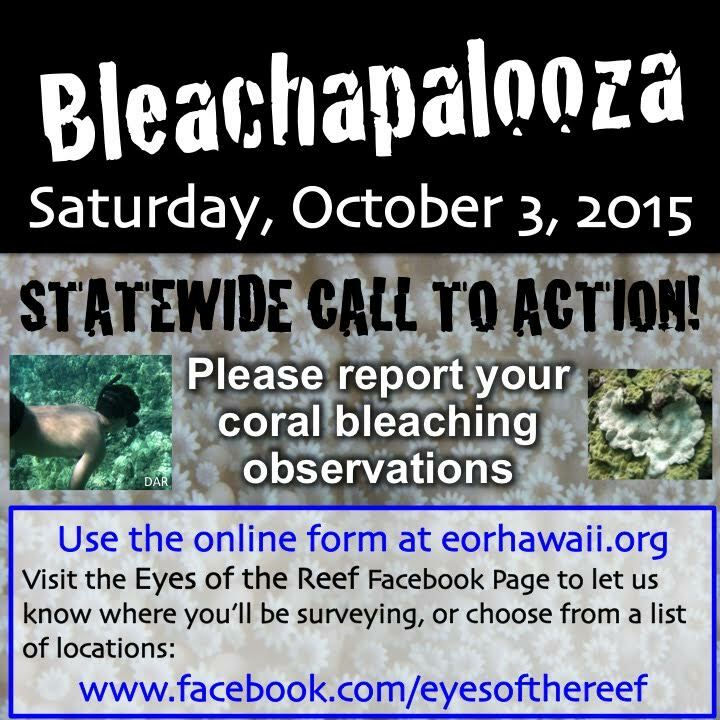 If you see coral bleaching please make an online report through Eyes of the Reef (EOR): www.eorhawaii.org/make-a-report. Please send photos to: RRCPcoordinator@gmail.com.